Sam, Abbas and myself have been asked to take over from Joe and Luke (Formula) this year for the creative networking events. 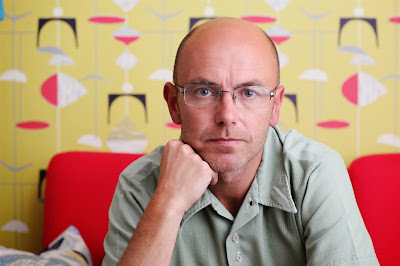 We have been briefed to do the promotion and way finding for the Wayne Hemingway event. Wayne will talk about his role as director of The British Fashion Council, the South East Design Forum as well as being on the Trustee Board of the Design Council. Wayne has some eye opening insights as to how creativity can impact on the bottom line. Current clients include McDonalds, Coca Cola, Nissan, as well as many retailers such as John Lewis. There are dozens of funny and strange happenings during these 30 years. He will also talk about the story of vintage, described by many as the most ambitious and coolest festival start up ever, the story of identifying an opportunity in the market, designing and delivering a summer festival for 50,000 people from scratch. The assembly of the team of designers, collaborators, bands, artists and designers, volunteers, the viral and street led campaign is an amazing and visually stunning story, full of disasters and triumphs. This is a modern tale about creating an internationally recognized brand and becoming a leading name in the competitive festival market in a matter of months and of the resulting product spin offs including being asked to co curate the official Queens Diamond Jubilee Pageant Festival in June 2012 for 70,000 in Battersea Park.